Hailey Baldwin gets new PRAY tattoo, designed by her BFF, Kendall Jenner. 5. 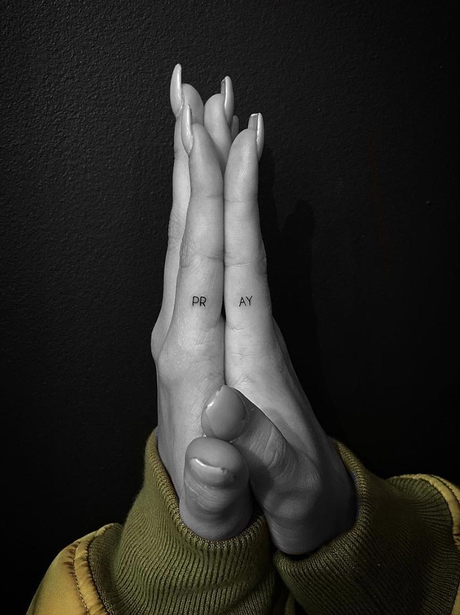 Hailey Baldwin gets new PRAY tattoo, designed by her BFF, Kendall Jenner.